Marrickville Organic Food & Farmers Markets is one of a kind happening near us on a Sunday, a long walk or a short drive from our apartment. 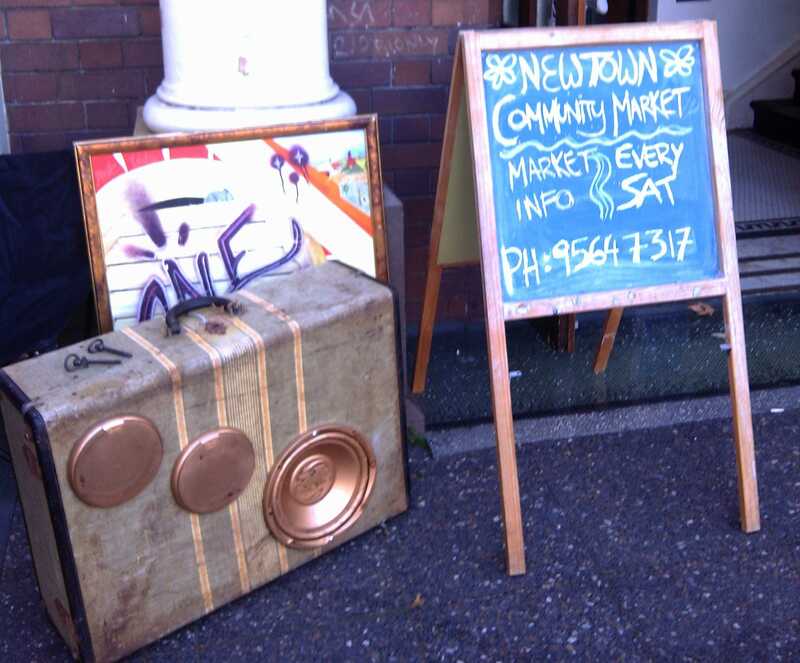 We park a little distance away at Enmore Park and stroll the few blocks to the entrance of Addison Rd Community Centre where the market shares its location with Reverse Garbage, The Bower Reuse & Repair Centre and eclectic community groups. Marrickville Organic Food & Farmers Markets is a diverse, vibrant, busy event where you can browse, shop and eat. We do all three, in that order. As I usually do food shopping on a Saturday at Eveleigh Farmers’ Market, our forays to Marrickville Markets are pleasantly recreational, we pick up extras & impulse buys, and delicious breakfasts we eat casually perched watching the heterogeneous throng. The G.O. inevitably opts for a Country Fresh lamb roll, while I amuse myself perusing the multicultural, vegetarian, vegan, traditional offerings before, this time, deciding on an Egyptian breakfast from Fritter House. Marrickville Organic Food & Farmers Markets are on Sunday 8:00 am – 3:00 pm, located at Addison Rd Community Centre, 142 Addison Rd Marrickville, NSW Australia. This entry was posted in Blog and tagged Australia, farmers markets, markets, Marrickville Organic Food & Farmers Markets, my life, sustainable living, Sydney.